Green, Red, Blue coloured card with rough side for lighting matches. 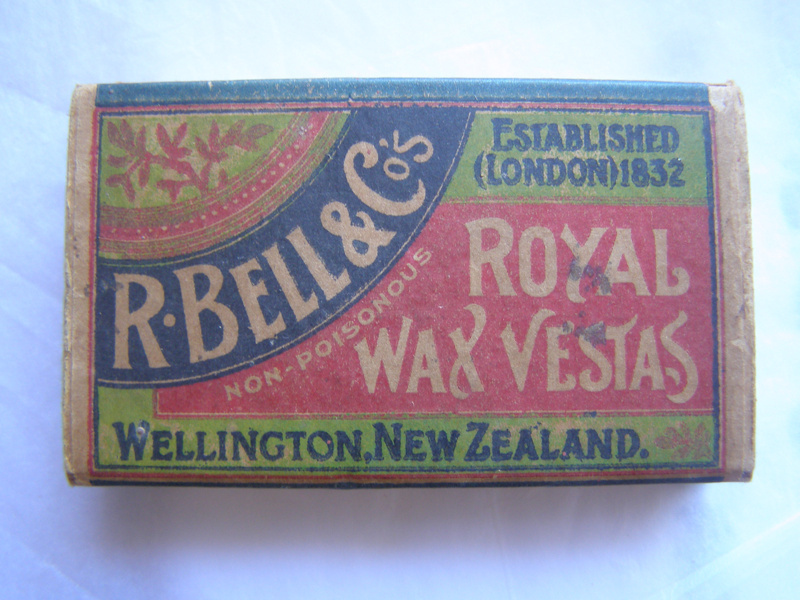 Inscription on exterior label, " R. BELLS & CO'S/ NON POISONOUS/ ESTABLISHED (LONDON) 1832/ ROYAL WAX VESTA'S/ WELLINGTON." Inscription along the exterior side, " Not for use in forest areas." 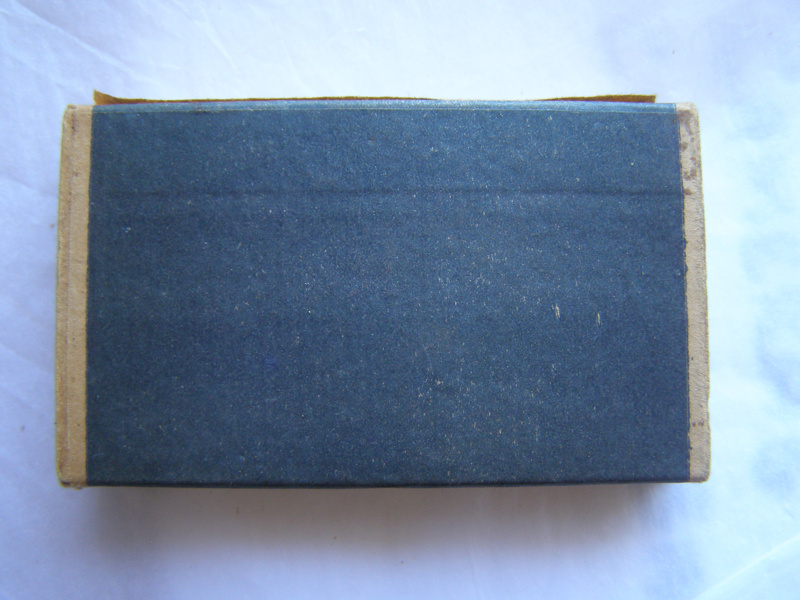 Inscription on exterior label, " R. BELLS & CO'S/ NON POISONOUS/ ESTABLISHED (LONDON) 1832/ ROYAL WAX VESTA'S/ WELLINGTON." 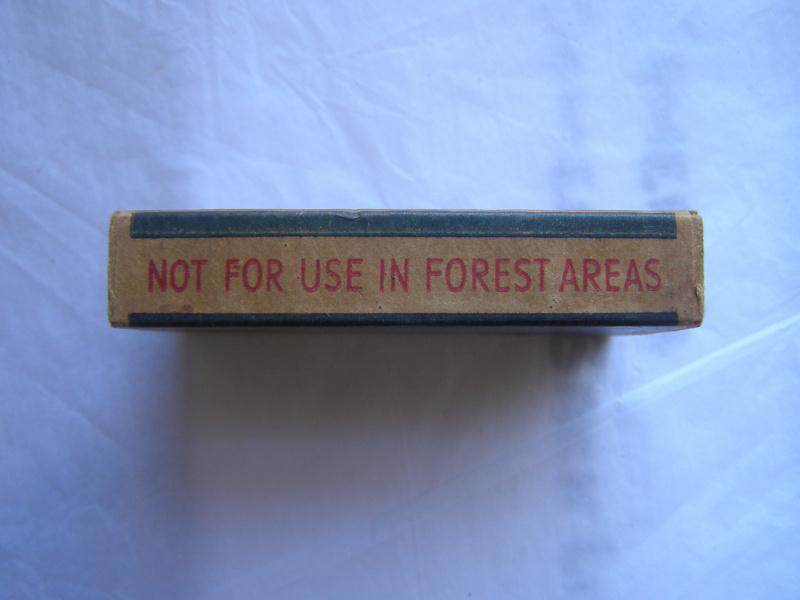 Inscription along the exterior side, " Not for use in forest areas." 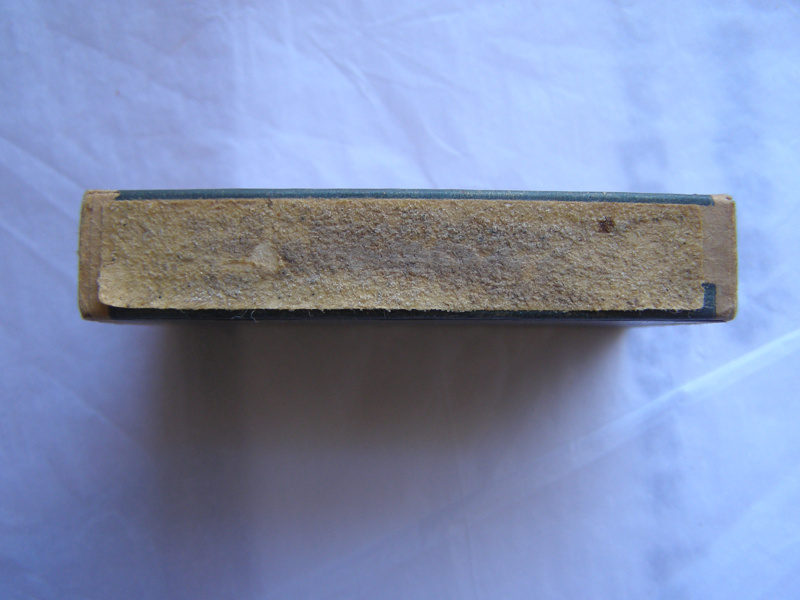 77mm (Width), 44mm (Length), 15mm (Height). It's very unlikely these will be worth very much. 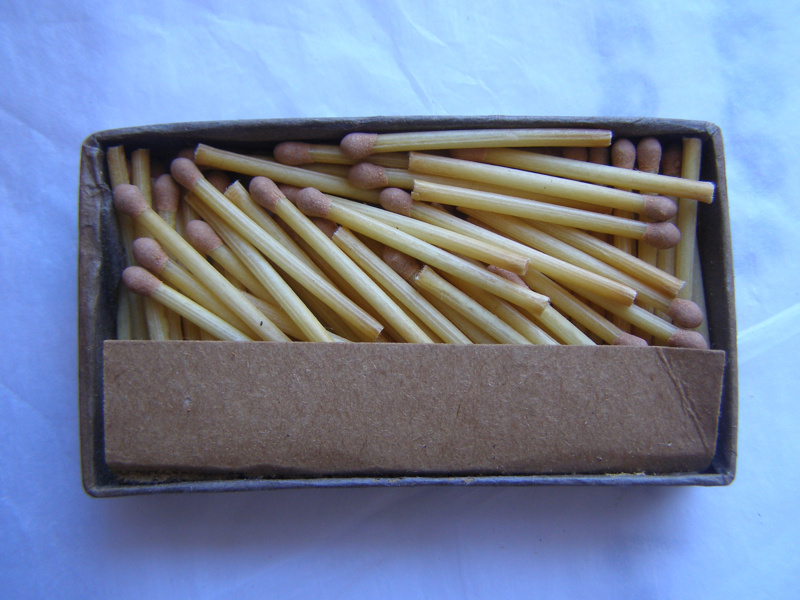 They were widely sold in NZ until the early 1960s when they were outlawed as being too prone to burn when thrown away, esp. from vehicles after lighting cig's etc. The box shown is the one they were sold in up to that date. I have 2 of these, both unused. I have a box of these looks to be full. is it worth keeping for the future or should I sell it or give away. I have 2 off these boxes with the original matches inside both. What is the value of these boxes nowadays ?